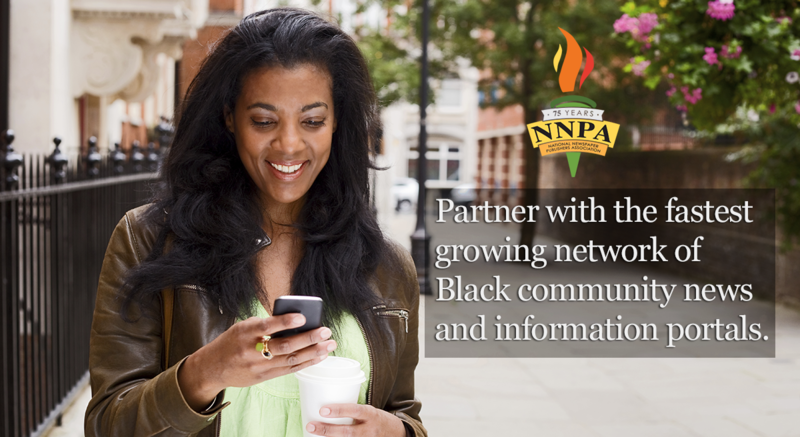 Home#NNPA BlackPressWhat Does the Lightfoot Election Mean for Chicago’s Black Businesses? When Lori Lightfoot is sworn in next month as Chicago’s first Black woman and openly gay person mayor, her administration’s first term will commence with the support of at least one national organization while under the watchful eye of another. The nonprofit, “In Our Own Voice: National Black Women’s Reproductive Justice Agenda,” said it looks forward to Lightfoot’s leadership after her historic April 2 victory, but publishers from Chicago Area Black-owned newspapers said they’ll keep an open mind and a watchful eye. “The jury is still out regarding business for our Black newspapers and our Black communities and, while we interviewed Lori Lightfoot and gave her coverage, she did not spend one cent in advertising with the Crusader,” said Dorothy Leavell, publisher of the Crusader Newspapers in Chicago and Gary and the national chairman of the National Newspaper Publishers Association, the trade association that represents more than 210 African American-owned newspapers and media companies around the country. “We will hope to have the discussion of her message being resonated in the Black community through action and, in our interview, we stressed the importance of black business. She responded that she would work for every community, not just those communities where her base is,” Leavell said. 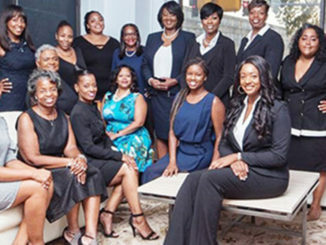 Lighfoot’s election shows the impact of Black women voters, organizers and leaders and foretells the promise of the 2020 elections, Howell said. Chicago Citizen Publisher Darrell Garth said the fabric of Chicago’s black and brown business hub has truly changed over the years but suggested that Lightfoot may want to pay attention to the Black Press. “Although the inclusiveness of the Black Press in an era where false news seems to [monopolize] the minds of some people, we refuse to be silenced and continue to print truth,” Garth said. “There wasn’t much talk during the campaign about more engagement in city government for the local Black Press, but I believe we must refuse to be counted out,” he said. Jayme Cain, the publisher of the Times Weekly in Joliet, Ill., called Lightfoot’s election a “rebuke of the Chicago Machine politics. “She has no ties to anyone they say, so the hope is business and opportunity will be open to everyone now,” Cain said. “I’m somewhat interested about how she will handle the crime issue with a background as a prosecutor,” Cain said. 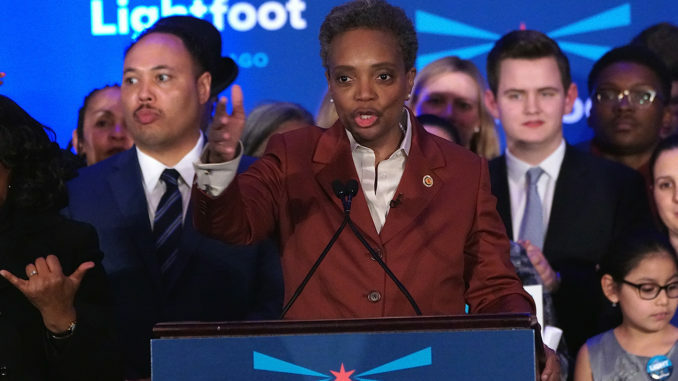 Howell added that the election of Lightfoot is by no means the end of the road for Chicago voters – especially Black women voters. “Now that Lightfoot has been elected, voters must be vigilant in supporting reforms and demanding innovative change. As Black women, we must be voters every day, engaged in the system and leading the way to equality for all,” Howell said. 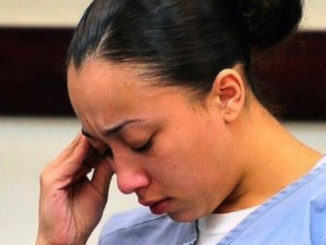 Leavell added that there’s hope Lightfoot will solve many of the problems that confront the Black community including crime, business opportunities, educational disparities and other social ills. “The [Obama] Center is located close to my community of Woodlawn and on the South side of Chicago and, I might add, on City park land. So, [like Obama,] she campaigned on change. 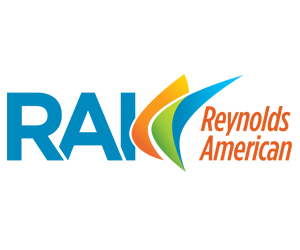 We will have to wait to see what change looks like,” Leavell said.